Since the launch of the ReQoL measures in October 2016, over 100 licences have been issued and over a third of mental health NHS Trusts are using ReQoL. 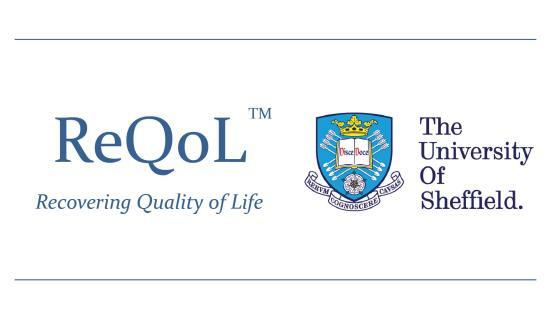 The ReQoL measures are being used in primary care, secondary care with mental health populations aged 16 and over to capture service users’ perspective of their quality of life and recovery. Research on the ReQoL is ongoing and there are three main strands at the moment. i. to create a mapping function between the ReQoL and the Health of the Nation Scales HoNOS. The results of this stage will be used in the subsequent stages of the project. ii. to validate ReQoL-10 in its final format. Our previous work on validation used the ReQoL-10 items as part of a larger set of 40 items. During Stage 5a, participants complete the ReQoL -10 and clinicians complete the HoNOS at a one-time point only. The questionnaire booklet also includes the short Warwick and Edinburgh Well-Being Scale (SWEMWBS) and CORE-10. Fourteen NHS Trusts are involved in this stage. Data collection started in October 2017 and will continue until September 2018. The stage is closed to new sites and recruitment of participants has closed. The mapping algorithm will be available around May 2019. The aim of Stage 5b is to validate the ReQoL-20 in its final format, our previous published validation work used the ReQoL-20 items as part of a larger set of 40 items. Participants complete the ReQoL-10, the short Warwick and Edinburgh Well-Being Scale (SWEMWBS) and CORE-10 at baseline. A follow-up questionnaire is administered between 6-15 weeks after the baseline. Fourteen NHS Trusts and one General Practice (GP) surgery are involved in this stage. Data collection started in October 2017 and collection of baseline data will continue until September 2018. The stage is closed to new sites and recruitment of participants has closed. The results from this stage will be available around July 2019.